What went wrong at Healthcare.gov? Folks, I’m going to be on the Kojo Nnamdi Show on Monday and need your help. 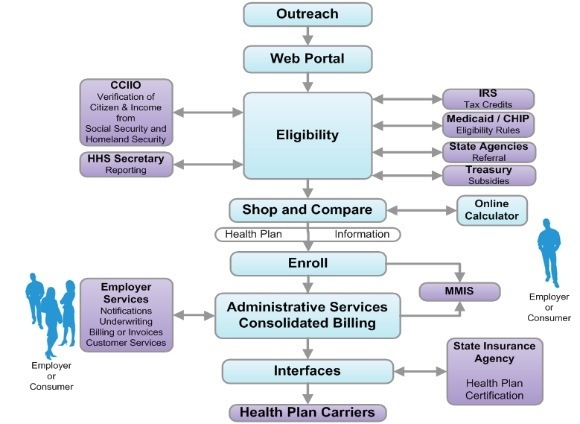 1) What are the best explanations of what went wrong at Healthcare.gov? This digest by Charles Ornstein is a start but I’d love more. 2) What are the best papers you’ve read about federal contracting? Where would you point people to understand how contracting works, why there are so many rules about how technology can be acquired and how this system needs to change/is changing? Who do you think has best answered the question of “what went wrong at Healthcare .gov” amongst the national media and expert technologists? Washington Post reported healthcare.gov crashed repeatedly in late September tests. Still launched. What else should people read? 12/1/2013 Update: After two months of intense scrutiny, the tensions and troubles behind Healthcare.gov have been well-documented by investigative journalists at The Washington Post, The New York Times, The Wall Street Journal, ProPublica and NPR News. No single issue led to the Healthcare.gov’s failure at relaunch on October 1. Rather, a combination of procurement problems, poor work by a key contractor, bad management skills, insularity and political sensitivity led to a bug-laden website with a broken backend. Over the last several weeks, we’ve made a number of changes to improve the accuracy of the “834” messages to issuers. The team, working with issuers, determined that more than 80 percent of 834 production errors were due to a bug that prevented a Social Security number from being included in the application, which in turn caused the system not to generate an 834. That bug has been fixed. Other issues related to the remaining 834 production issues have either been fixed or are in testing so that the fixes can be deployed soon. In other words, when the Healthcare.gov marketplace launched, a single programming error meant that enrollment data being sent to insurers was invalid. That’s not just a bug: it’s a fundamental shortfall in meeting the requirements for a functional software application of this sort. 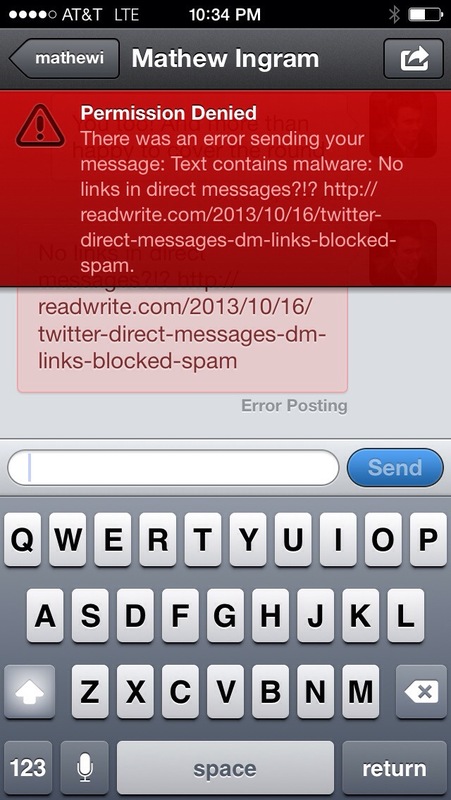 Removing the ability to send links in direct messages is the first time Twitter has truly crippled its service for me. UPDATE: Per TechCrunch, this appears to be temporary, caused by a technical choice to try to address an upsurge in spam, not a permanent change. Here’s hoping. I’ve updated the headline of this post.